First Uniform supplies a wide selection of genuine Dickies chef clothing so you can create new dishes in style. All Dickies apparel, including our chef jackets, have stain-release technology and are wrinkle-resistant so you can be confident you look clean and professional, even under stress. We offer multiple styles for men’s and women’s chef uniform pieces in a convenient one-size-fits-all, so you are guaranteed to find a good fit online. For almost a century, Dickies has supplied men and women with superior workwear. Its apparel has a long history of innovative trends to help workers keep their clothing clean and professional while performing the toughest of tasks. 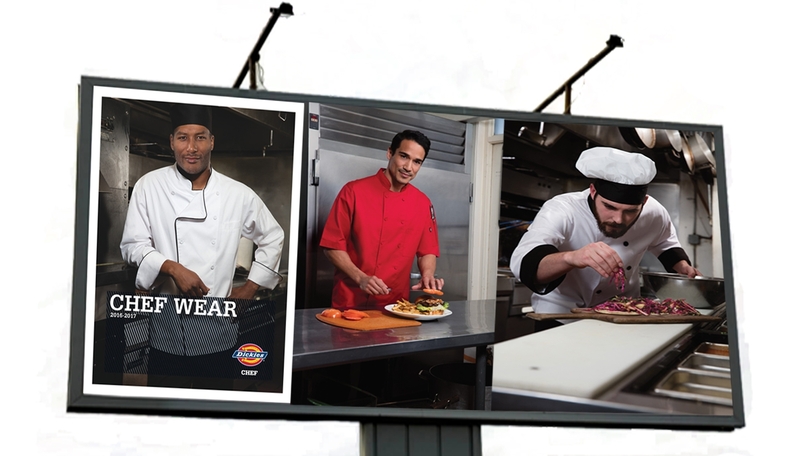 From whipping up savory specialities to managing multiple orders of the house favorite during rush hour, depend on Dickies chef uniforms. Their long history will ensure you are looking your best while serving up the best dishes.